This is a series of sermons that many Latter-day Saints love and believe. I hope these sermons promote and perfect your faith as they do mine. Read or watch this sermon here, or read previous MMM Sermons. 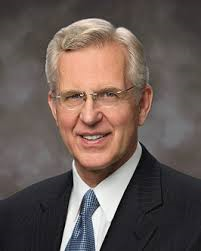 After President Monson shared that in a recent study two-thirds of young people could not give an example of a moral dilemma, it brought to mind Elder D. Todd Christofferson's 2009 October sermon in General Conference. If the definition of morality is challenging for the rising generation, how challenging will it be for them and us to gain moral discipline? The societies in which many of us live have for more than a generation failed to foster moral discipline. They have taught that truth is relative and that everyone decides for himself or herself what is right. Concepts such as sin and wrong have been condemned as “value judgments.” As the Lord describes it, “Every man walketh in his own way, and after the image of his own god” (D&C 1:16). "Policemen and laws can never replace customs, traditions and moral values as a means for regulating human behavior. At best, the police and criminal justice system are the last desperate line of defense for a civilized society. Our increased reliance on laws to regulate behavior is a measure of how uncivilized we’ve become." As a former criminal defender, I have first-hand knowledge that there never will be enough officers to police people's behavior. Bad weather seems to be one of the few ways to curtail crime and that's only for a short period of time. How do you gain moral discipline? Saint Mark is one of those oxymorons: a Mexican who speaks fluent Japanese, a bibliophile even though he did not grow up with a book, pen or paper in his home, and a mormon who grew up in the casino lights of Las Vegas. After becoming a modern-day Ammon in Kyushu, Japan, he returned to the States to become a lifelong student, literally. He has a bachelors from Brigham Young University, a masters from Georgetown University, and a juris doctor from Boston University School of Law. Mark is a husband of a wonderful woman who is done with Mark being a student, a father of two intelligent and rambunctious boys who beat him at chess and football, and an active participant in his ward and community. He identifies himself as someone who quickly tires of chit chat and wants to know "the five things you want to do before you die" when he first meets you.